Twisters stretching more than a mile wide and traveling upwards of 200 miles per hour have flattened neighborhoods in Oklahoma. It’s no wonder that the state has a reputation for its tornados. 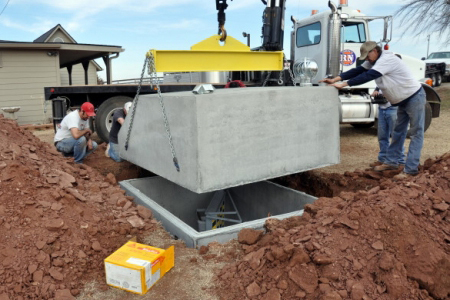 After all, Oklahoma City is near the heart of what many call Tornado Alley. The residents of this state have gone through many tornados, and some of them are unfortunately still recovering from the devastation. On average, 22 Oklahoma tornados occur in May. Shortest span of time recorded between EF5 tornados is only 11 days (May 20 to May 31). Violent and strong tornados typically occur in April. 18 of the 27 April tornados were F2 or greater. 5 of the 12 April tornados on record were F4/F5. Most tornados form between mid-afternoon and early evening. 5 tornados are recorded to have happened in one day. 2 or more tornados have hit Oklahoma City 26 times on the same day. A motel was destroyed in Oklahoma and the sign was found in Arkansas. 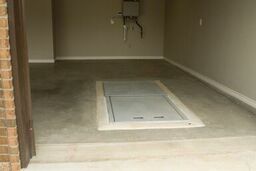 Keep your family safe and look into our above ground concrete storm shelters for Oklahoma. They provide superior safety from even the most destructive winds. 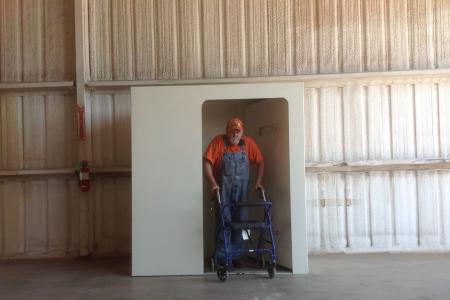 Order your tornado shelter today!